What's common among Indian Premier League (IPL), football World Cup, Auto Expo and the Filmfare awards. While on the face of it, there's nothing common, still there is something that binds all of them together; something that makes them look majestic and extravagant; and something that's the lifeline of all these events. Yes, it's the professional event managers. The Rs 3,000-crore event management industry has been witnessing an unprecedented growth over the last couple of years, and is estimated to be growing at a rate of over 35% each year. 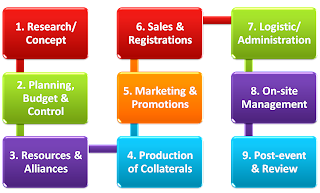 Event management means planning, creatively organizing and finally executing an event which could be anything-a product or brand launch, an exhibition, a concert, a show, a conference, a trade fair or even a birthday/wedding party. Emergence of India as an economic powerhouse and a preferred destination for doing business has resulted in a host of foreign companies starting operations here. This, coupled with the retail and infrastructure revolution along with a rising level of disposable income of the great Indian middle class, has created a burgeoning demand for professional event managers. Celebrations like birthday parties and weddings, which earlier were simple family affairs, have now turned into glitzy events where people want theme décor, buffet spreads and celebrity appearances. And it’s the event managers that put all of this in place. Moreover, a growing numbers of corporate awards, television and reality shows have translated into an unending demand for these professionals. While this industry came into the spotlight about a decade ago, it has gained considerable momentum over the last couple of years. Event management encompasses a wide range of profiles that offer thrilling opportunities to those with an eye for detail and a flair for organizing. Wedding is no longer a homegrown affair, which is put together and managed by family members. It has become much more than that. Fast pace of life, time crunch, rise in income along with the willingness to spend mega bucks and status symbol—it means demand for skilled professionals who turn wedding into an extravagant, once-in-a-lifetime affair. Grand décor, exotic locations, exquisite functions and creative themes—event managers make any dream come true by turning vision into reality. Events have taken over as the preferred means of brand promotional activity. A proliferation of TV channels and newspapers mean that advertisers have now begun to opt for experiential marketing, which means directly connecting with the consumer through an event. This is more likely to get better and quicker results than the traditional form of advertising. So whether it’s product launches, brand activation or other below-the-line (BTL) activities, event has become marketing manager’s favorite strategy for effective brand communication. Award, fashion shows and, of late, reality TV shows have caught the imagination of the Indians, with everyone right from sponsors to the audience yearning for more of glitz and glamour. With several new fashion weeks and film and TV awards being instituted in the last couple of years, the demand for event managers who can organize them has exponentially increased as well. By giving cricket a corporate identity, Indian Premier League (IPL) has added a new dimension to events management in India. Right from start of the gala function to managing every match and then the dazzling ending ceremony, IPL is nothing but a mega event. And this mega event is made possible by dedicated and talented events managers who add zing to every function. Apart from cricket, sports like F1 racing, lawn tennis and hockey too have attracted corporate sponsorship and in the process have introduced corporate culture in the game. A. Business Development or Client Servicing: This department is also known as sales or marketing team and the nature of work in this department involves getting business for the company. So, one has to make pitches to old as well as new clients to get business. This department also has to provide the clients with satisfactory customer service. So, a good business sense and ability to deal with media are essential traits that one would need in order to work in this department. B. 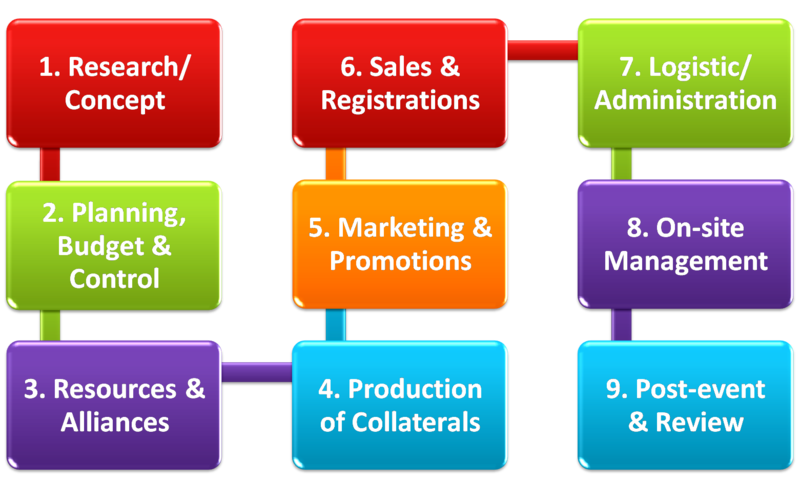 Planning of event: This department takes over the operations once business development department gets clients. Now, the people working here finalize everything about an event ie from the concept to the format to every minutest details of an event. 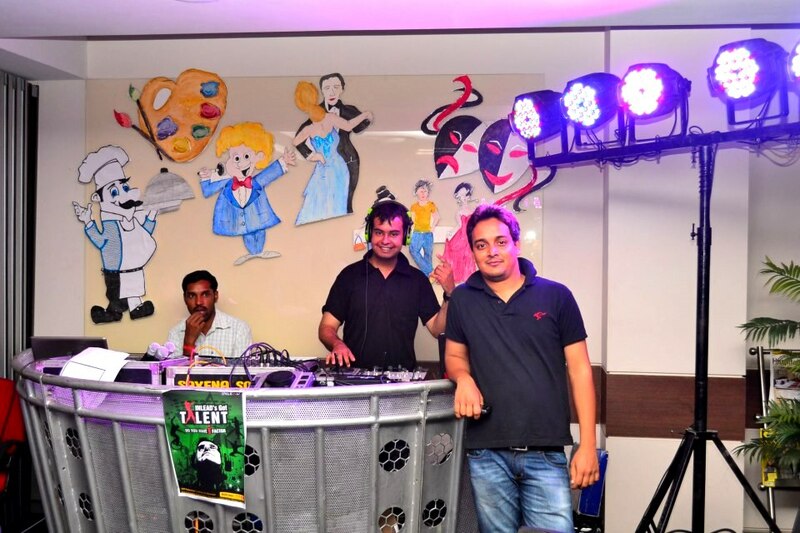 Event planning team consists of the creative who always keep in mind the interest and needs of the clients. C. Creative Team: When a concept and format is decided, the creative team takes over. Also known as art and design team, it works on creation of promotional material, design of set and other visual elements of an event. D. Production Team: This is the team that works behind the scene to execute all the plans and details about an event. 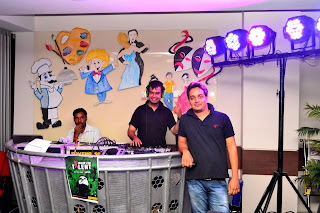 They are the field guys who ensure that everything is perfectly in place for an event. Members of this team are sharply focused and pay attention to each and every minute details. E. Avenues outside events management field: Media houses, advertising agencies, fashion industry, tourism and hospitality are some of the sectors where event management professionals are in high demand. Great information, helpful for the students to get knowledge about event management career and guide them to have better career option. Asking the “Right Questions” can get you hired.